Toward freedom from pain. Toward healing. Toward fitness. Toward the life you deserve. You just want relief. Just want it to stop! But it won’t. No matter what you’ve tried. And you’ve tried just about everything. It’s relentless, sometimes excruciating. A debilitating monster that haunts your every move, every day, every night, every aspect of your life – physical, emotional, psychological – it’s always there. And you can’t get away from it. Or can you? When you focus on diet, motion, and medicine, you can experience health and well-being you never imagined. Through methods you may never have expected. You’ve heard of it, but you’ve probably never tried it. It’s easy to shy away from the distant or unusual. But what if it works? What it is and (just as importantly) what it’s not. If you’ve never tried it before, you might be worried that acupuncture needles will feel like hypodermic injections at the doctor’s office. Don’t worry! They won’t. Acupuncture uses hair-thin, flexible needles that you’ll hardly feel when I insert them. When I gently stimulate the needles, they may produce a unique sensation that Oriental medicine calls de qi. Patients often describe de qi as a heavy, achy pressure or spreading, traveling feeling. You may also feel an “electrical” sensation moving down your meridian pathways, though this sensation is less common. However, you, like most patients, will likely find these acupuncture sensations deeply satisfying and leave the treatment feeling relaxed both mentally and physically. Acupuncture works by activating your body’s own healing powers, so it can be beneficial for many health conditions. The World Health Organization (WHO) has clinical evidence to show that it effectively relieves many symptoms, diseases, and conditions. Are you suffering from any kind of pain? From head to toe, whether it’s general pain, arthritis, sports injuries, carpal tunnel syndrome, post-operative symptoms, temporomandibular joint syndrome (TMJ), headaches/migraines, myofascial syndrome, or even a toothache, you’ve probably heard that acupuncture can give you relief. And it can! But did you know it can also benefit you if you’re experiencing respiratory complaints, sinusitis, and allergies? Or that if you’re agonized by digestive issues, nausea/vomiting, morning sickness, Irritable Bowel Syndrome (IBS), chronic indigestion, ulcers, acute/chronic gastritis, chronic loose stools or constipation, heartburn, or acid reflux, that acupuncture can help you start welcoming the thought of food again? Having trouble falling and staying asleep? Overwhelmed with anxiety? Stressed out? Depressed? You guessed it. Desperately hoping to start a family but having trouble with reproductive issues, infertility, or invitro Fertilization (IVF)? Yes. Acupuncture may ease the way. Or maybe you just need a whole new look. Acupuncture can help with facial rejuvenation, improved muscle tone, drooping eyelids, and sagging jowls. Want to improve and balance your facial coloring? Eliminate puffiness? Even tighten your pores? Even if you’re dealing with something I haven’t mentioned, contact me. Chances are, we can work together to help you feel better. Several thousand years ago, East Asian practitioners discovered that the body forms disharmonies as a result of life’s various physical and mental stresses. Oriental medical theory explains these disharmonies as an imbalance of opposing forces called yin and yang. This imbalance disrupts the movement of the body’s vital energy (qi) along the meridian pathways, channels through which the body’s energy flows. Acupuncture restores the smooth flow of qi. The manipulation of needles at specific points on the body facilitates the body’s return to its natural balance and promotes the body’s ability to heal itself. The benefits of acupuncture are cumulative, so more than one treatment is necessary. For acute conditions, you can expect to have 10 to 15 treatments, but you’ll usually begin to feel relief after just the first few. Chronic conditions may take longer to respond, depending on the type, severity, and duration of the condition. You can also schedule preventative treatments and treatments for general well-being on an as-needed basis. Yes. Millions of Americans use it safely every year. Acupuncturists must undergo extensive education, including detailed study of human anatomy and training in Clean Needle Technique. 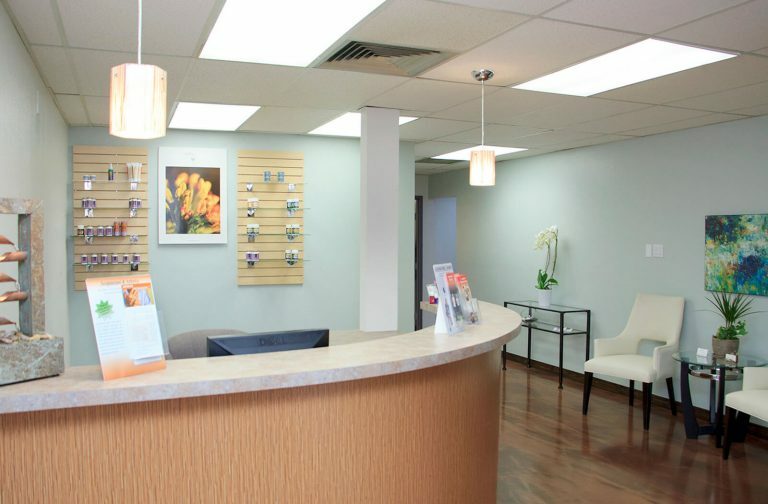 When you arrive for your first acupuncture appointment, you’ll complete a comprehensive intake form. The acupuncture intake form asks questions about your current state of health, past illnesses, and family history. These questions are important because the holistic approach of Oriental medicine takes everything into account. You may not have perceived a relationship between current symptoms and past health issues, but your body is a complex landscape – everything that happens to you leaves its mark. After reviewing your intake form, we’ll discuss your condition, and I’ll examine your pulse and tongue, two of the basic diagnostic methods of Oriental medicine. The acupuncture points I choose will depend on your condition, but you can expect approximately 20 needles. Once I insert the needles, you’ll rest comfortably for 15-20 minutes with the needles in place. Many people find acupuncture treatment deeply relaxing – so don’t be surprised if you fall asleep! Stop the search. Start the healing. Make your move.